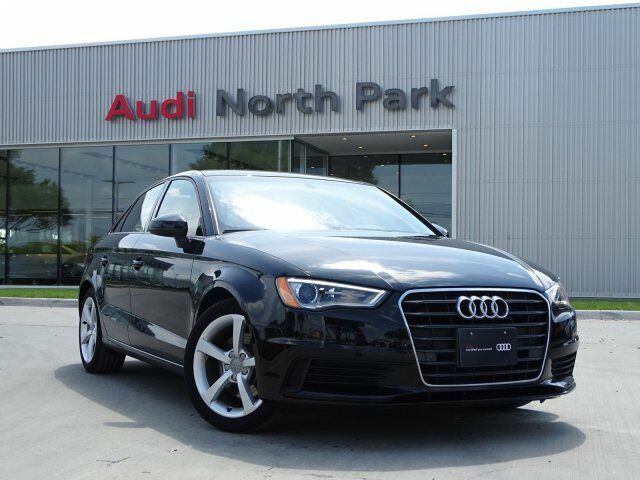 CARFAX 1-Owner, Audi Certified, GREAT MILES 28,398! PRICE DROP FROM $20,995. Moonroof, Heated Leather Seats, Turbo Charged Engine, Back-Up Camera, HEATED FRONT SEATS, AUDI MUSIC INTERFACE W/LIGHTNING ADAP... Aluminum Wheels AND MORE! Leather Seats, Back-Up Camera, Turbocharged. Audi 1.8T Premium with Brilliant Black exterior and Black interior features a 4 Cylinder Engine with 170 HP at 4500 RPM*. HEATED FRONT SEATS, AUDI MUSIC INTERFACE W/LIGHTNING ADAPTER CABLE. Sunroof, Aluminum Wheels, Keyless Entry, Child Safety Locks, Steering Wheel Controls, Heated Mirrors, Electronic Stability Control.